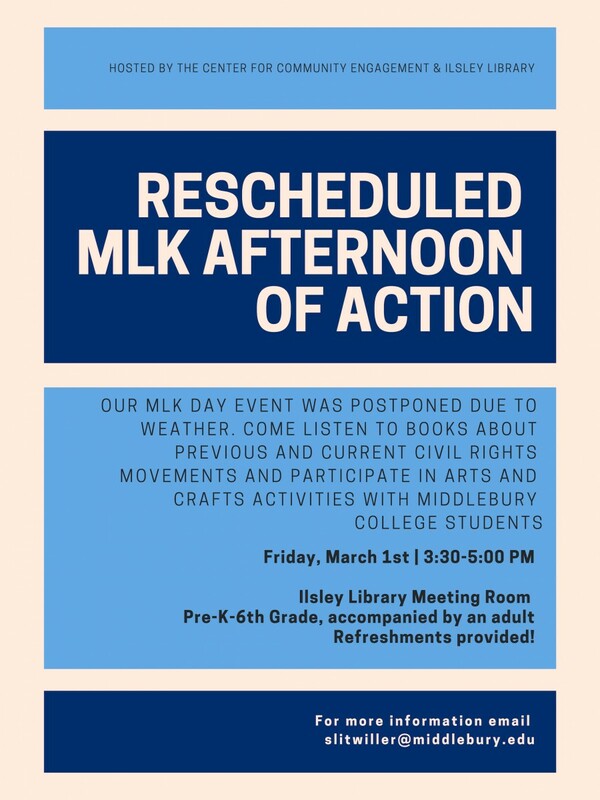 Addison County parents and youth (pre K-6th), you’re invited to the rescheduled MLK Afternoon of Action on Friday, March 1st from 3:30-5:00pm at the Ilsley Library. Come to Ilsley Library Meeting Room and listen to books about previous and current civil rights movements and participate in arts and crafts activities with Middlebury College students. See you there! Hosted by the Center for Community Engagement. Questions? Contact Sarah Litwiller, slitwiller@middlebury.edu.